Domtar paper holds the words of our favorite stories — tales that inspire, entertain, amuse and educate. It’s no secret that we love books, and we love to bring them to children. So does First Book. 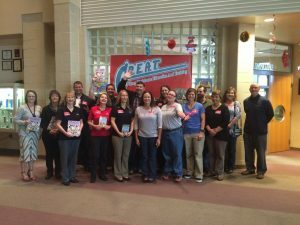 Domtar colleagues recently visited schools across North America to read with students, and our partnership with First Book provided new books for thousands of children. For the fall First Book event, Domtar colleagues delivered books to a kindergarten class at Ashdown Elementary School and sat in small groups to read. The children received books to take home, and several books were donated to the classroom library. 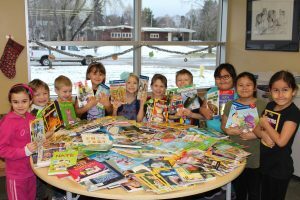 A grant from Domtar and First Book Canada to Open Roads School helped leaders obtain books for the school library, for classrooms, and for individual students and families to promote continued reading. For Greenville’s first First Book event, 20 volunteers read to 172 students in preschool through fifth grade at Stokes Elementary School. The children made bookmarks and received a Domtar-stamped pencil and a book. This past fall, Domtar colleagues participated in a First Book event at William Tell Elementary in Tell City, Indiana, just a few miles from the Hawesville Mill. Domtar colleagues visited South St. Mary’s Elementary School in Elk County in the fall. Principal Chrissy Kuhar chose to have a schoolwide assembly to present books selected by the teachers to each grade. Colleagues involved in the program had special connections with students at the school, and these students accepted the packages of books for each grade level. The children were very excited and appreciative of the books that were donated, and Domtar colleagues were very impressed by the students. Domtar colleagues held three First Book events at the Chakhachee Head Start Center in Nekoosa. Each was designed around a gingerbread theme to share the love of reading with children ages 3 to 5. On the first visit, colleagues read “The Gingerbread Man,” then the children decorated gingerbread man ornaments. 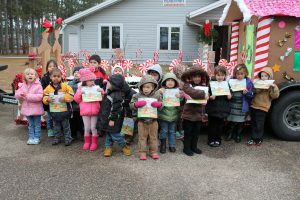 The next week, the group read “The Gingerbread Baby” and took pictures on Domtar’s gingerbread-themed Christmas parade float. The third event featured “The Gingerbread Family” and decorated cookies. Employees also sponsored four children for the holiday giving project. 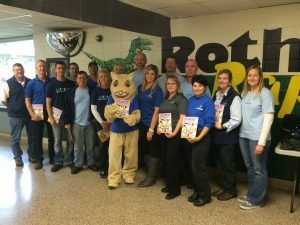 Domtar colleagues entertained more than 200 students at Clio Elementary-Middle School with a parody of “Hit the Quan.” Owen the Owl visited and danced for the kids, and students received new books and candy. The adults also challenged students to meet a reading goal and offered them collapsible cubes in which to store books at home if they do. Teachers at the school also received bookshelves made from pallets for their classrooms. Partnering with First Book, colleagues in Plymouth visited Rogers Elementary School and presented books to first graders. Domtar colleagues from Rock Hill and Fort Mill visited Richmond Drive Elementary, where students enjoyed reading and receiving copies of books such as “Click, Clack, Moo — Cows That Type,” in English and Spanish. Colleagues also talked with students about Domtar’s work in their communities and its role in everyday products. Colleagues enjoyed another successful reading event during the fall, visiting three kindergarten classes at Rothschild Elementary School and presenting books to the students. Domtar colleagues visited Dean Highland Elementary School and read to fourth graders. 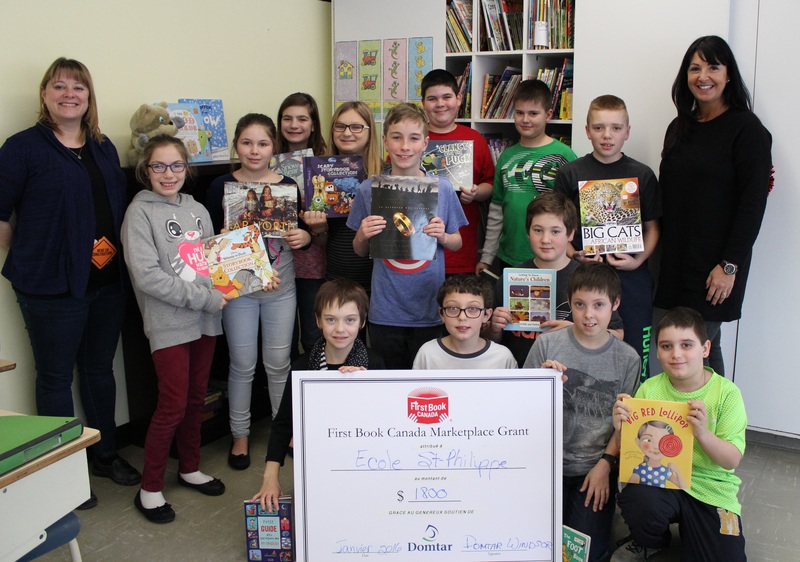 A grant from Domtar, in collaboration with First Book Canada, made a difference in the lives of students at two local elementary schools as well as the many preschoolers who benefit from the work of the Val-Saint-Francois Literacy Development Committee. The recipients were highly appreciative of Domtar’s generosity. Notre Dame du Sourire School in nearby Saint-Claude used the grant to purchase 408 books and to set up a reading space in every classroom. 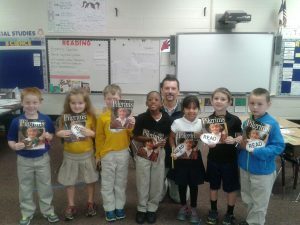 At St. Philippe School in Windsor, 424 books were distributed in all classrooms from kindergarten through sixth grade. Both schools took the opportunity to acquire many English books to enhance language learning. For its part, the Literacy Development Committee selected 347 books for its programs for children younger than 5.